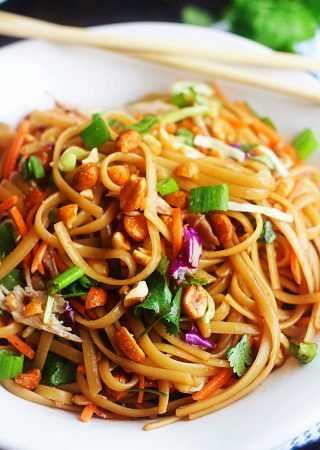 With the weather getting warmer here in Southern Utah, I’m all about easy recipes and not having to turn my oven on. I’ve been craving salads and wraps for the most part. Anything simple yet light and refreshing. 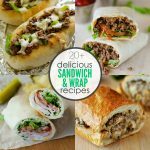 That’s when I decided to make these wraps. I chopped up the romaine lettuce pretty small, then added the sliced strawberries and drenched it in poppy seed dressing. Then, I added some grilled chicken down the center of a large tortilla and added a little more dressing. I covered the chicken in the salad/strawberry mixture and then wrapped it up tight. 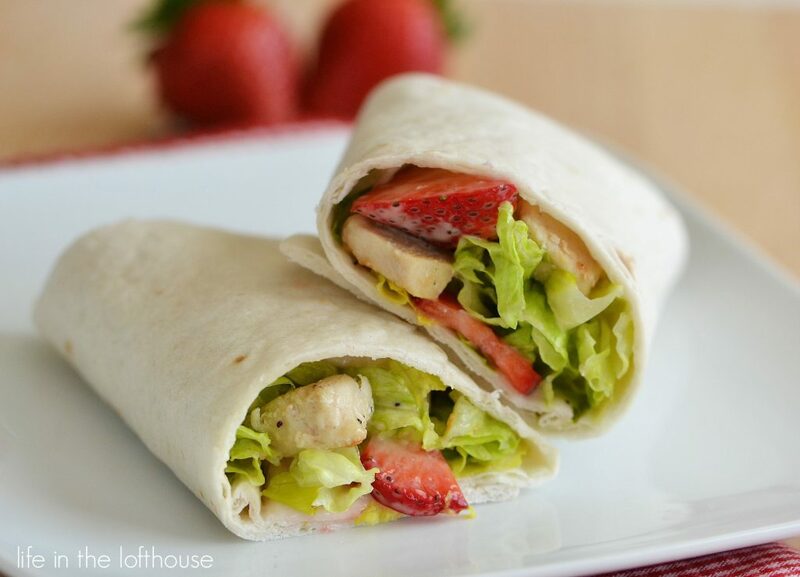 Grilled chicken, sliced strawberries, and crunchy romaine lettuce wrapped up tight in a flour tortilla. 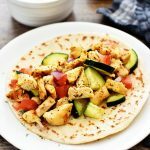 This is a perfect lunch for summer! Heat oil in a large, non-stick skillet. Add the chicken, season with salt and pepper, and cook for 10 to 12 minutes, or until thoroughly cooked. 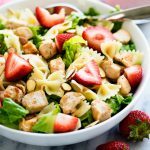 Meanwhile, add the shredded lettuce, sliced strawberries, ½ cup of the creamy poppy seed dressing and sliced almonds in a large bowl. Gently toss to combine. Heat the tortillas in the microwave for about 10 seconds, or slightly warm. Take one tortilla and add ¼ of the cooked chicken down the center. Drizzle with a tablespoon of poppy seed dressing. Add ¼ of the strawberry mixture over the top of the chicken. Wrap up tightly. Repeat with remaining tortillas, chicken and strawberry mixture. Serve immediately with remaining poppy seed dressing. 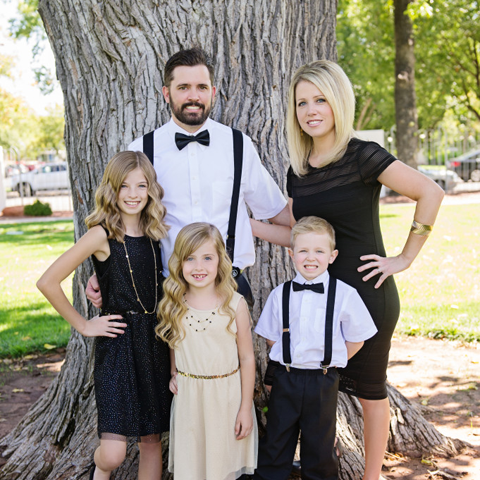 Hello Holly, I have just come across your wonderful blog. 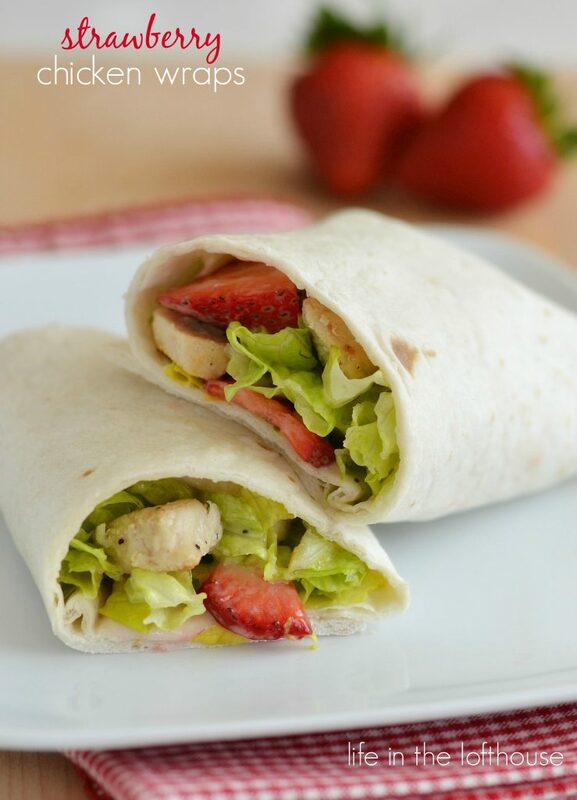 I live in London and with the strawberry season beginning am excited to try your strawberry chicken wraps. Just one snag, how can I make poppy seed dressing? I haven’t come across it before.